In 1995, a group of Scottish Rite Masons, from the Valley of Boston, organized the first Golf Tournament fund raiser, for the Greater Boston 32º Masonic Learning Center for Children. The learning center was the brainchild of M.W. J. Phillip Berquist, 33º, MSA, Past Grand Master of Masons in Massachusetts, and Past Thrice Potent Master of Boston Lafayette Lodge of Perfection. Bros. Bob Johnston, Bill Manchester, Phil Berquist, and Phil Turner, formed the first golf committee. The tournament was held at Juniper Hill Golf Course in Northborough, and established a tradition of fraternal fun, friendships and good sportsmanship. All aimed at supporting the cause of teaching children coping skills to overcome the disorder of Dyslexia. 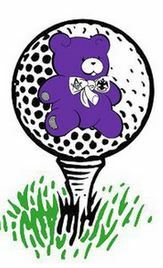 Over the years the tournament moved around to several golf venues… but the “Teddy Bear” maintains its tradition of community support for a valuable resource for children in the Greater Boston area. The Teddy Bear Classic Annual Golf Tournament has raised close to $150,000 for the support of the Learning Center.